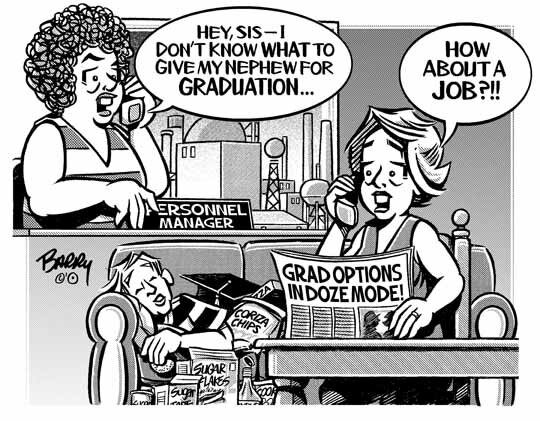 Sending two GRADUATION cartoon your way today. This first one addresses issues that many of the freshly graduated encounter — yep, job-related stuff. In this instance, everything is indeed "relative." HA! Given the burgeoning number of Categories, I've gotta group some of them under "mother" subjects — before things get waaaay outa hand! I'll be doing the same with HOLIDAYS, SPORTS & NATURAL DISASTERS.